Dozens of cars, vans and trucks park behind Save-On-Foods and Elevation Place, sometimes for months on end. 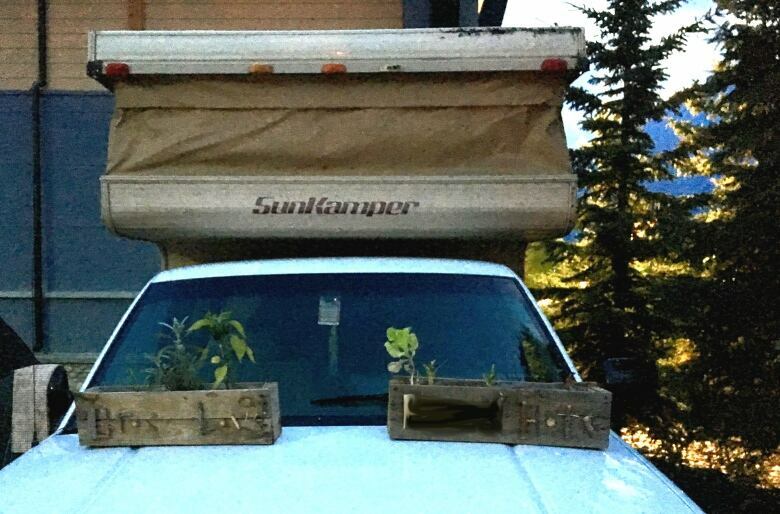 One woman set up a boxed garden on her truck's hood. "It's not that bad. I mean, it's a place to sleep, right? I mean, you live outside. 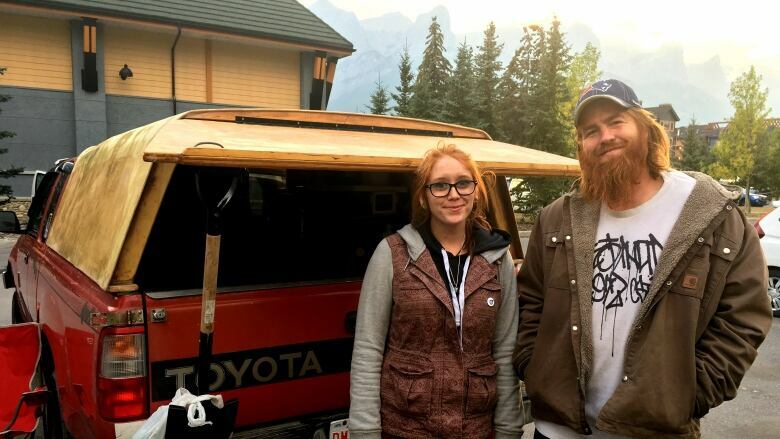 It's a beautiful place," camper Joe Dow told the Calgary Eyeopener. "You don't really need to be inside all the time, right? A cheap house here is what, like $300,000 to $400,000?" In fact, the average home price in Canmore is $676,093, according to CREB's July housing market report. The town is considered the least affordable in the province, as determined by a recent study that compared wages with home prices. "That's kind of unreasonable, you know what I mean?" said Dow, who works in construction as a framer. "You have a room in a house anyways. My truck is like a room." The town is trying to make housing more accessible, said Lisa Brown, the town's ​community social development manager. The municipality is trying to add more affordable housing and supports for lower income residents. In the short term, staff are trying to make the campers feel welcome. "It's a desirable location and it has a finite space to grow, and because of that, those tend to have increased housing prices with it," Brown said. "Canmore, like the rest of the country, we're going to see increased housing prices. I don't see it going away, I don't see it getting better." The town has removed and decided not to enforce the "no overnight camping" signs, Brown said, and it's added a portable washroom. As adventurous people already, they've adopted the nomadic life and manage to cook full meals out back of the truck's bed. 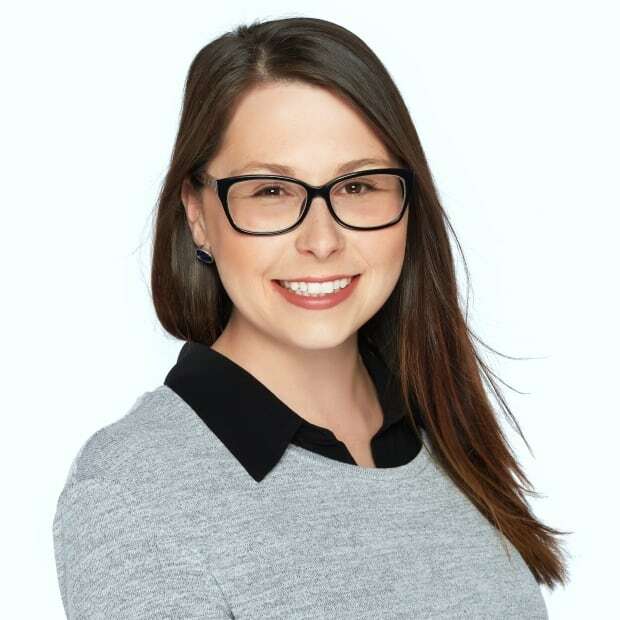 MacDonald works at local service industry businesses. "I think a lot of people are getting accustomed to that kind of lifestyle, too: not having so much, not having so much stuff, not being so much of a consumer," MacDonald said before a dinner of sausages, pancakes and coffee. "That's also why we're staying in the truck, so we can save up to go do some other fun stuff." Regardless, after two winters in the truck, Dow said he's not looking forward to a third. 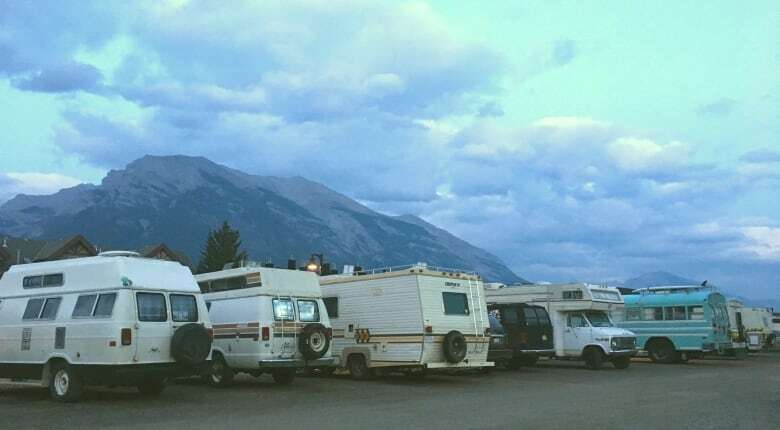 Other campers said they were trying to save money while exploring the beauty around Canmore, so close to Banff National Park, and the many nearby hikes and climbs. There are even blogs online about how to "live the vanlife" in the town. 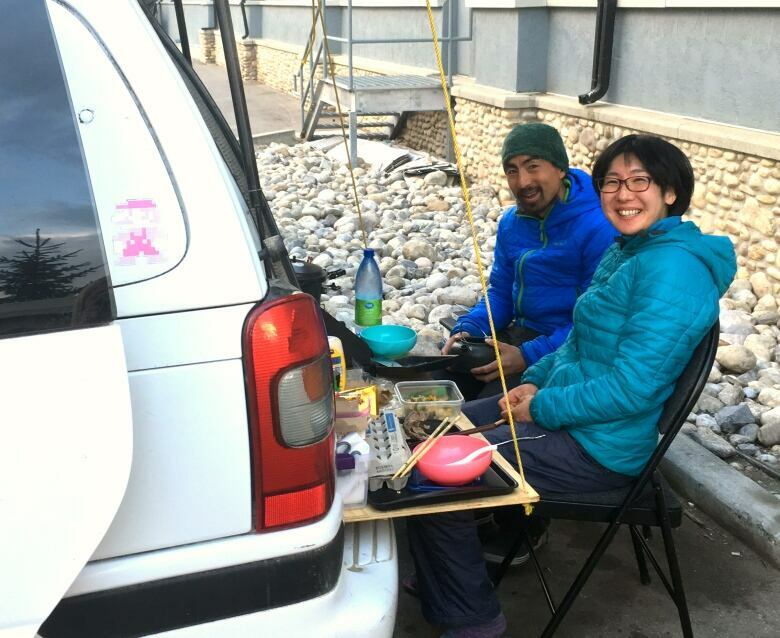 "Our hobby is climbing," said Japanese tourist Sayaka Musumoto, who shares a van with her husband. "It's cheap, first, and we are moving, so it's useful. It's sometimes hard to find a hotel." It does get cramped, she said, but they've gotten used to squeezing in. Noe Taquet, visiting from France, was on a cross-Canada van camping tour in what he thought was the most affordable means of travel. 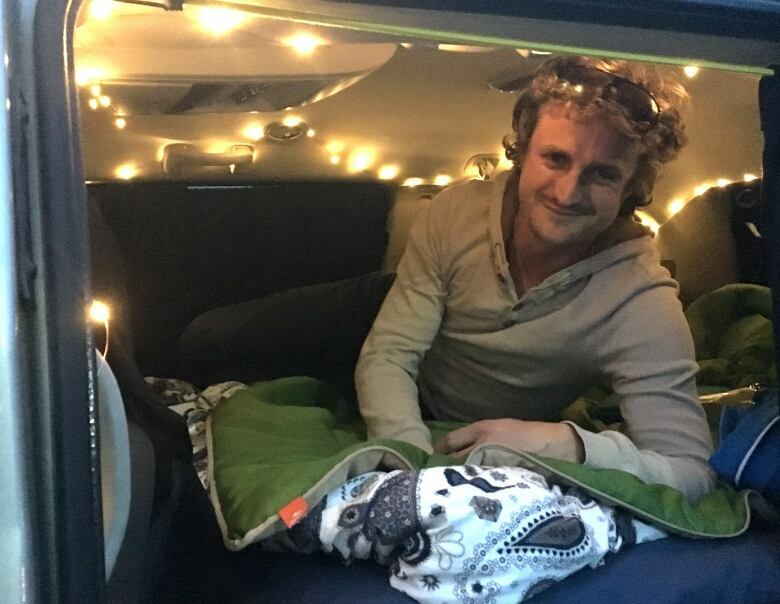 He decked out his truck's bed with fairy lights. "I've been working abroad for a while, so I'm very flexible," he said. "Anyway, it's going to be over soon. It's September, and winter's coming." The lot was "jam-packed" in the summer but the asphalt campers have dwindled with the cooler weather, Brown said, but the town continues to work on a strategy. She said staff have looked at how B.C. has dealt with its precariously housed camping population, and they've decided they can't simply move campers. "All you're doing is moving the problem and you're not fixing that social safety net," Brown said. Instead, they will continue trying to make people safe for now and tackle the bigger housing crisis to "keep that vibrant community" of people of all socioeconomic levels living in the town, she said.